New woodworkers will be amazed at the complex operations that are possible using the tools they already have by using the tools and accessories. Wood turners are be able to make spiral cuts and turn spindles using their table saw, turn their drill press into a lathe, and turn their router into a duplicator. 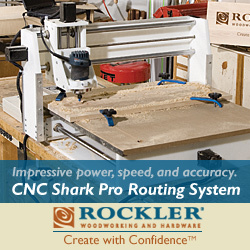 And new CNC woodturning machines promise to only increase what is possible.